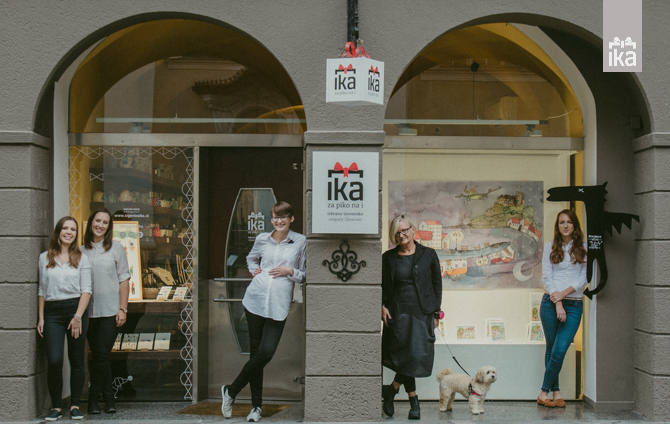 The first store IKA opened in Škofja Loka in 1992, IKA in Ljubljana joined in 2008. The basic idea was to present to the buyer a colorful, wonderful world of Slovene design. This world was divided into two groups: fashion and useful decorative products for home. The emphasis was on the fact that products are made in Slovenia and that they are presented in a friendly manner. To show our people and tourists how creative, imaginative and colorful Slovene authors’ ideas are. Stories about faces, effort and amazing persistence were being written on the way. 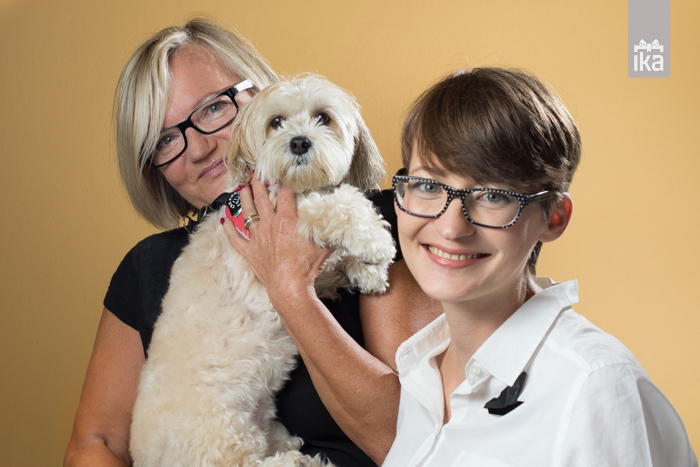 Buyers were enthusiastic and disbelieving about what Slovene hands can do. The brand IKA presents fashion clothes and jewelry which are designed and made exclusively for the store IKA and are a product of our own work. In addition there is a vision of developing products that would be offered only in our stores and would be made according to our ideas. There are quite some ceramic products already as a result of these efforts. Being thrilled about products of young Slovene designers and innovators we started with a project within which we present all novelties in this field. We are very proud of this step. Behind all these stand a mother and a daughter, Ika and Iva. Life awarded us with an opportunity to do something that makes us happy. All these years of partnerships also resulted in friendships with the authors. We work tolerantly, transparently and with precision. Authors also know that they will get payment for their products on the specified day. This distinguishes us in this modern world of frauds and irresponsibility. The proof that we are on the right way is the fact that after all these years and all crises of purchasing power we are still working. We wish for people to know that the present they take to their friends, acquaintances, business partners is a product of modern Slovene design although it is not a beehive panel, an Idria lace or gingerbread heart. Slovene design is all this and more. But foremost we are a mother and a daughter. Extraordinary trust and uncompromising devotion is required. Respect and love. Even if it is hard, we have to believe it will be better tomorrow. This is how our story goes, and believe us – it is a very beautiful one.